The Ford is being towed away from the accident. GEORGE NEWS - There has been another accident at the infamous George Airport crossing. 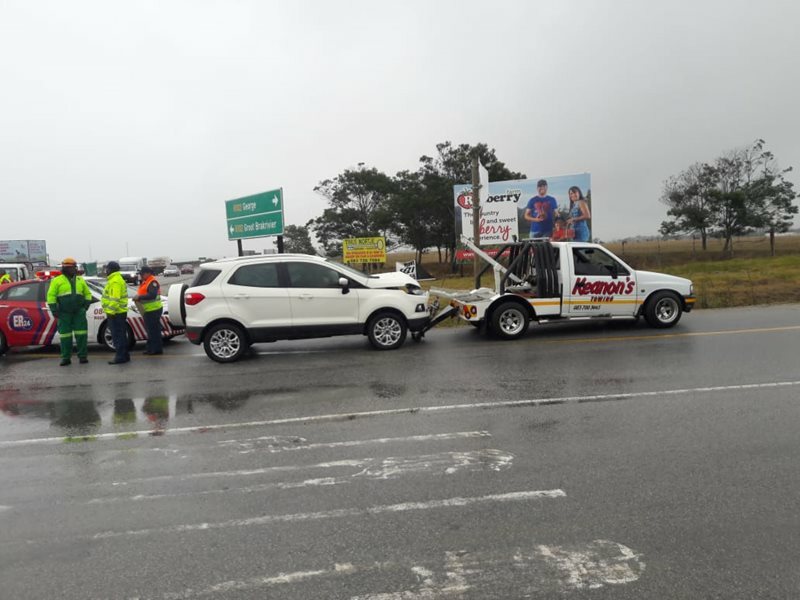 A Cape Town-registered Ford Eco Sport skipped the stop street in the direction of Blanco this morning, and hit the rear end of a bakkie travelling in the direction of Mossel Bay. The driver of the Ford has been taken to hospital. 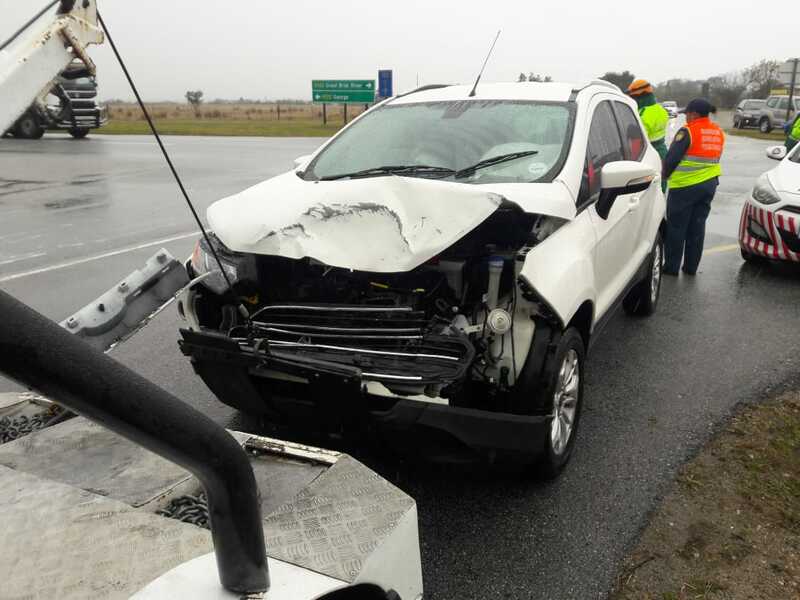 The driver of the bakkie and his passenger were not injured. All emergency vehicles have now left the scene of the accident. 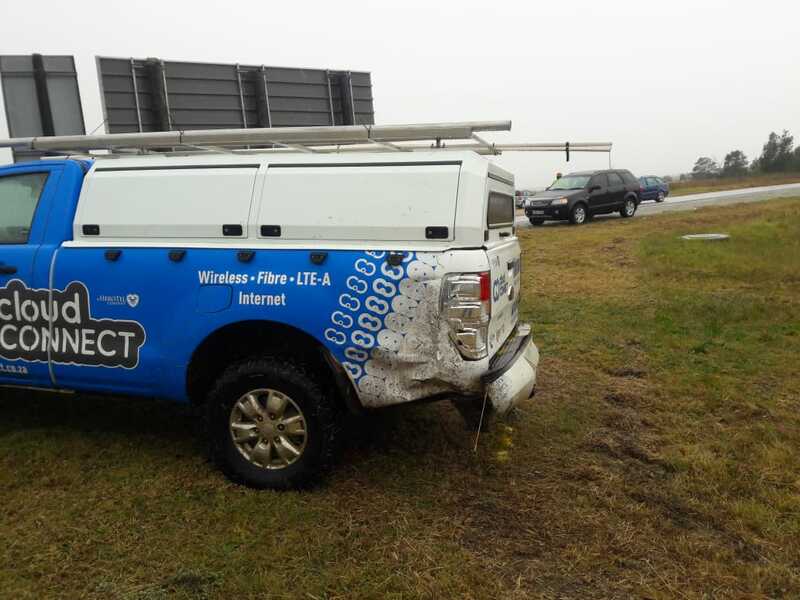 The back of the bakkie after the accident. The air bags in the Ford were activated.